NEW CONSTRUCTION... 3br, 2ba open concept living room and kitchen with SS Whirlpool appliances, 17' granite peninsula bar with additional seating area on one side. Custom pendant lights, gray glass tile back splash, ceramic tile flooring in kit and baths. 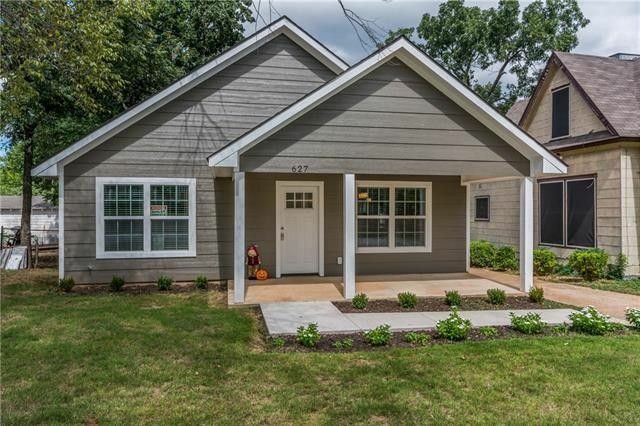 Laminate wood floors and all cabinets are custom solid wood construction, backyard framed with shade trees and a large front porch to relax. Home offers an amazing floor plan with no wasted space and all electric for better efficiency. And.....YOU get to choose your front door color ! Motivated Seller!! Directions: From Hwy 75 in Denison go West on Morton St. Turn Right on Armstrong, Left on Hull. Property is 2nd home on the left, sign in yard.